Do I Need a Permit for a Tree House in My Backyard? 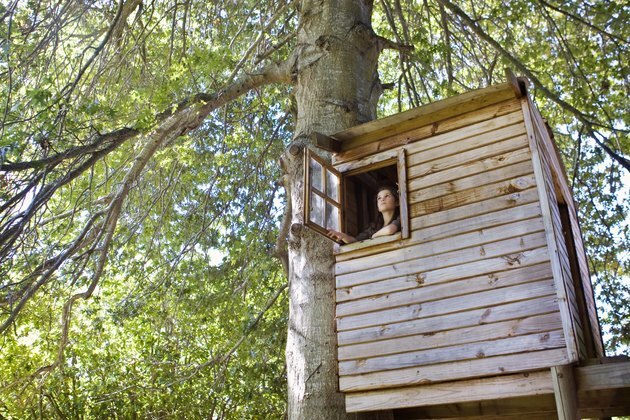 A tree house can be a great parent-child project, but it's not all fun and games. Though building a small tree house in your backyard for a child normally does not require a permit, the procedures differ from area to area, as well as upon the size and scope of the tree house plans. Building a tree house without doing your homework could end up in potential legalities down the road. Building a tree house isn't exactly child's play. Kids love tree houses; these structures give kids a special place for playing with their friends. Tree houses aren't just for kids, though; some adults have made a living making inhabitable tree houses. There are also hotels with units built up in the trees. Tree houses can be simple -- like a platform built around a tree trunk -- or more complex and ornate -- like a miniature house. Over the years, safety concerns have led to more and more restrictions on the building of tree houses. Make sure to draw your plans out in advance, and research building codes in your area. Check with a professional builder who can help ensure that your design is safe and structurally sound. Keep your plan small; a "temporary structure" -- like a shed -- does not need to be inspected. There may be height restrictions specific to your area that you'll need to investigate. It's also important to buy sturdy, long-lasting materials. In most places, if your tree house's plans are complex enough -- and the structure looks inhabitable -- you will have to apply for a permit and speak with an inspector about your structure. In order to forgo the permit process, you will need to forgo installing plumbing and lighting; you do not want the structure to look as though it's meant for permanent habitation. If you are going to apply for a permit, you have to get a structural engineer to vouch for the soundness of your plans and finished structure. 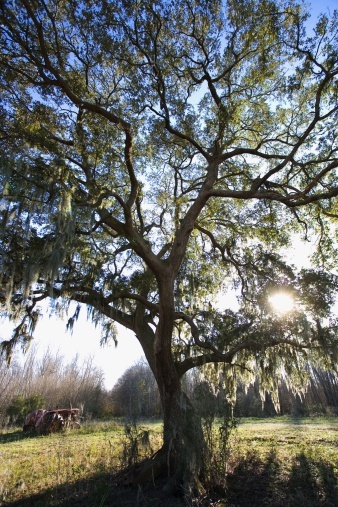 There are many rules to keep in mind when building a tree house. For one, you must make sure that the tree house is solely on your property; it is advisable to keep your tree house at least 10 feet from the border you share with your neighbors. Also, build your tree house in your backyard; otherwise, some people may see it as an eyesore and complain about it to your city government.